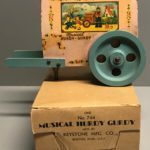 This is a musical Hurdy Gurdy with a Swiss music box. It measures 7.25″ x 3″ x 4.5″. It came in two colors, pink and blue for girls or pale yellow and red for boys. 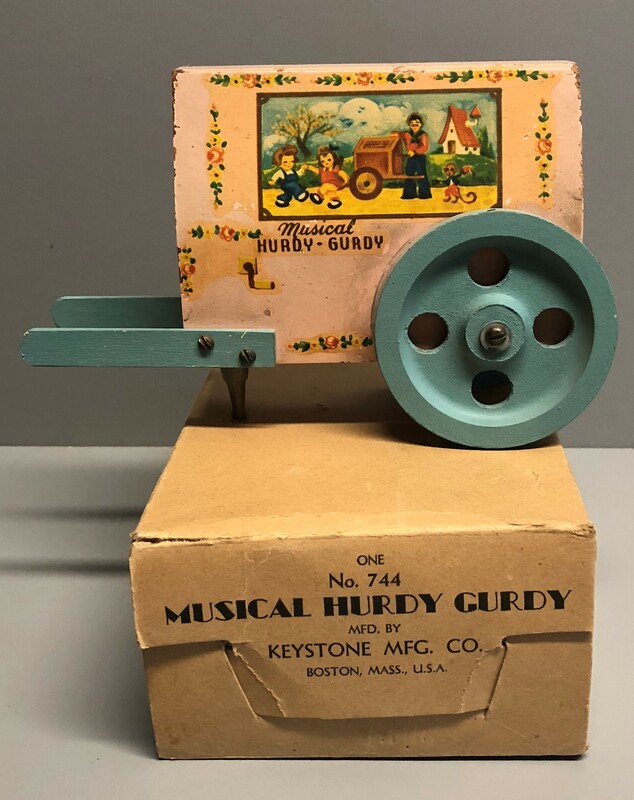 The Hurdy Gurdy appears in the 1954 catalog as a model #240. I am currently unsure of the production years using the number 744.